What if you only had as long as an elevator ride to impress your future boss? A solid elevator pitch is a great way to introduce yourself to employers and showcase what you can bring to their company. 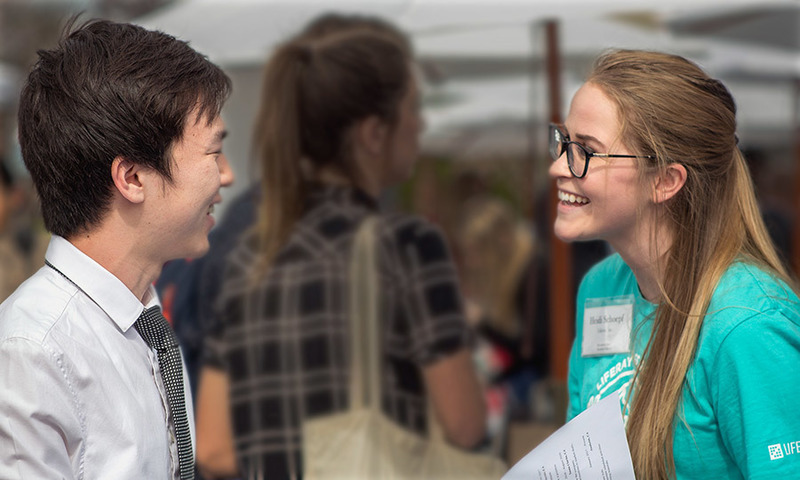 With more than 60 employers coming to Biola at the upcoming Spring Career Expo on Wednesday, February 13, be ready to impress by creating a one minute (or less) elevator pitch. For more tips, check out our free guide and the examples below! We are excited to see your elevator pitch and to see you at the expo on February 13.